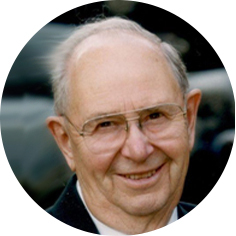 With heavy hearts the family of Jacob (Jake) Klassen of Moose Jaw, SK announces his passing on Wednesday, July 25th, 2018 at the age of 94 years. He was predeceased by his wife, Doris Klassen (née Haviland); parents, Jacob and Annie Klassen; sisters: Mary Konde, Margaret Nicholson, and Sara (Sally) Rice; and brothers, Frank and Elmer Klassen. Jake will be sadly missed and lovingly remembered by his daughter, Lori (Terry) Bourdages; precious grandson, Jordy Bourdages; son, Les (Brenda) Johnson; sisters: Ann McCaw, Helen Murdoch, and Laura Wilson (Fred); brother, Al (Doreen) Klassen; sister-in-law, Loretta Klassen; as well as many special nieces, nephews, and family friends. At age 2 and a half, Jake’s family emigrated from Russia to Canada in 1926 and started farming at Central Butte, SK in the spring of 1927. He later purchased his own farm, married Doris and together they raised a family in the Central Butte community before relocating to Moose Jaw in 1974. He was known for his sense of humor, generous ways, commitment to family, and was always ready to assist anyone in need. He had a passion for carpentry and wood working, spending hours creating and building a variety of games, ornaments, puzzles, toys and furniture to give to family and friends. He also participated as a volunteer in the community through the Central Butte District Fair Board, Central Butte United Church, Minto United Church, Scandinavian Club, Lions Member, Moose Jaw Multicultural Club, and Meals on Wheels. The family would like to extend special thanks to the staff of Chateau St Michael’s for the care given to him over the past 6 years and also thanks to the wonderful staff at the Dr. F.H. Wigmore Regional Hospital in Moose Jaw during his recent short illness. A Memorial Service will be held on Tuesday, July 31st, 2018 at 11:30 a.m. in the Harvey Room at Moose Jaw Funeral Home. As an expression of sympathy, donations in Jake’s name may be made to a charity of one’s choice.